When it comes to Keto Breakfast Ideas I have one rule – keep it simple! 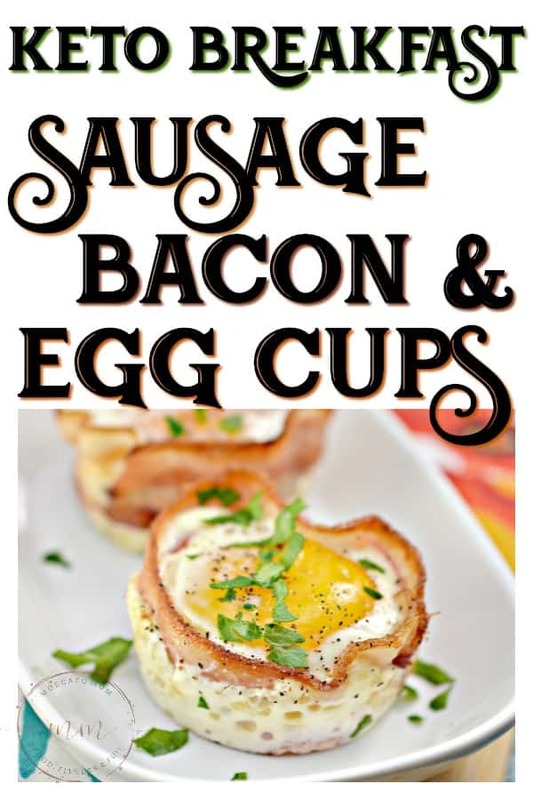 These Keto Bacon, Sausage and Egg Cups are delicious and filling and will help get you started on the right track for the day! 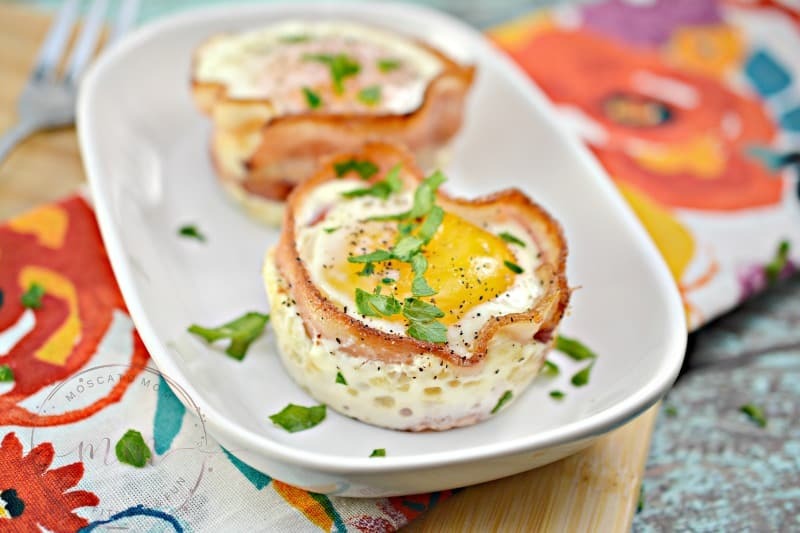 These Keto Bacon, Sausage and Egg Cups are super easy to make and full of flavor. They are so versatile you can add in any vegetables or spices you like to give them an extra kick. 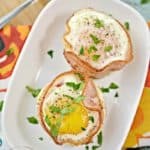 Pretty much anything you would put in a keto friendly omelette you can put in these breakfast cups! 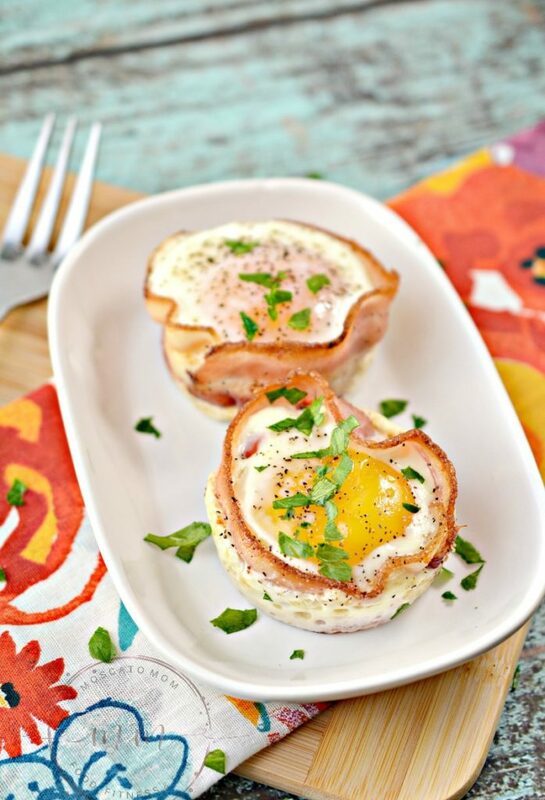 These breakfast Cups are also great to make ahead and pop in the microwave for a quick and healthy breakfast to go. Simply wrap them with a damp paper towel and microwave for 30 seconds. Voila! 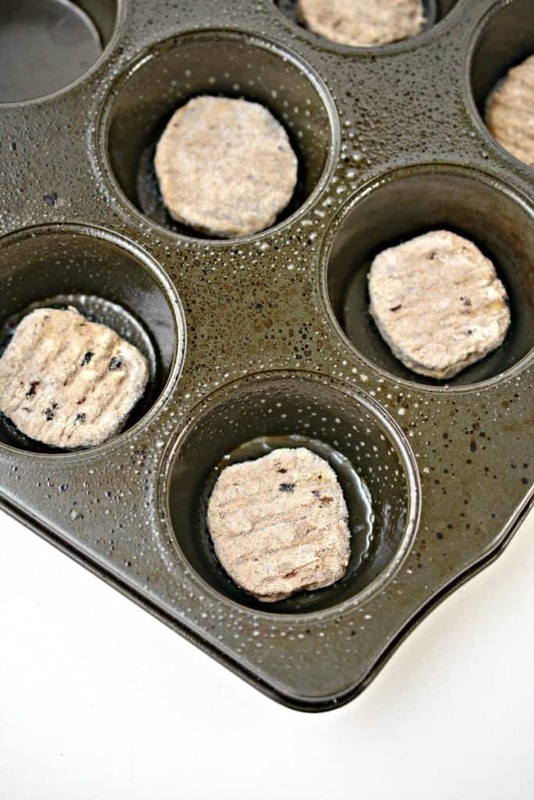 Place one small sausage patty into the bottom of six different compartments of a well greased muffin tin. 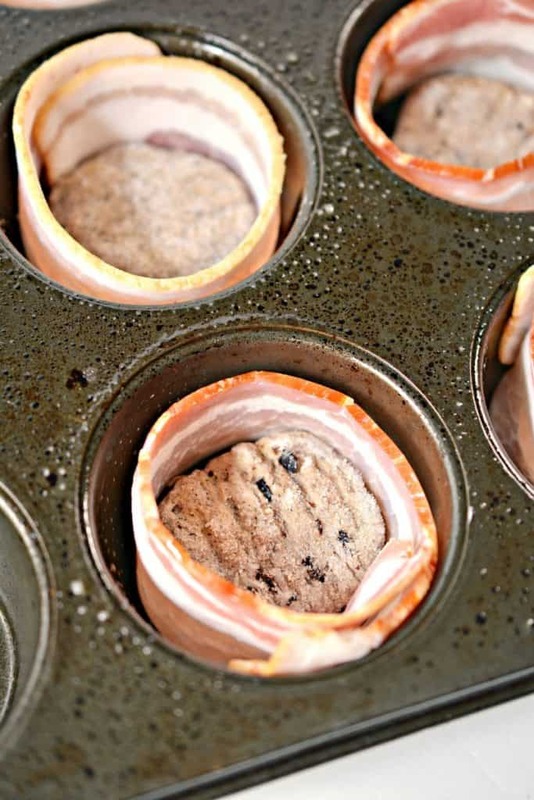 Wrap a slice of thick cut bacon around the sausage patty so that it forms a circle around the inside of each muffin tin compartment. Put a teaspoon of chopped bell peppers onto the top of the sausage patty in each of the compartments. 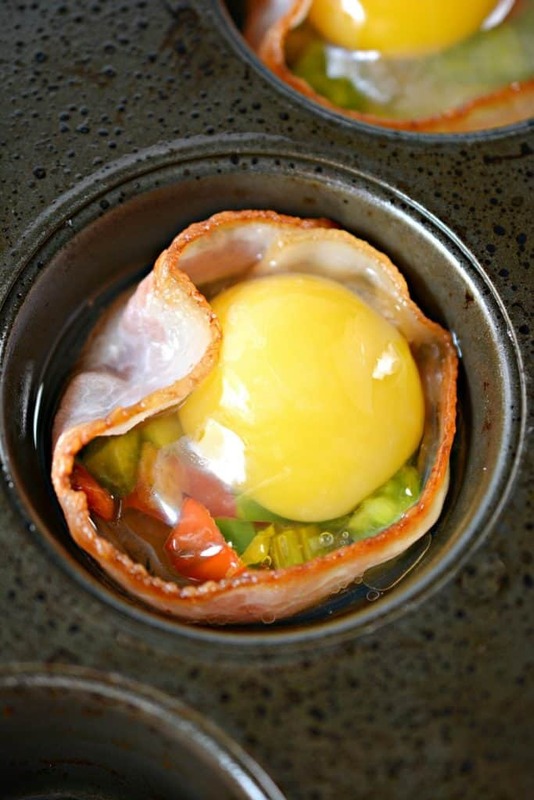 Bake the sausage and bacon cups for 10 minutes. 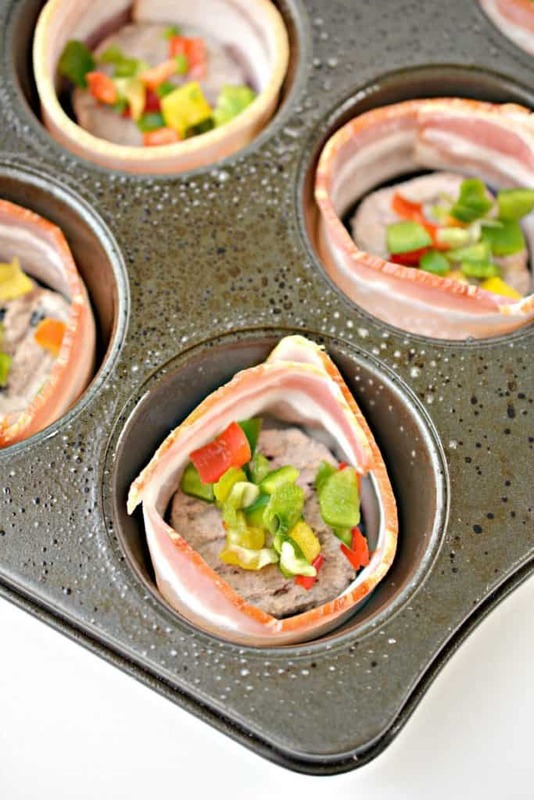 Remove the muffin tin from the oven, and crack an egg into the center of each of the muffin tin compartments. It is okay if some of the egg whites leak past the bacon strip, it will all solidify as it bakes. Bake for an additional 10 minutes until the egg whites are solid, and the egg yolks are still a bit runny. Top with salt, pepper and freshly chopped parsley for garnish if desired. 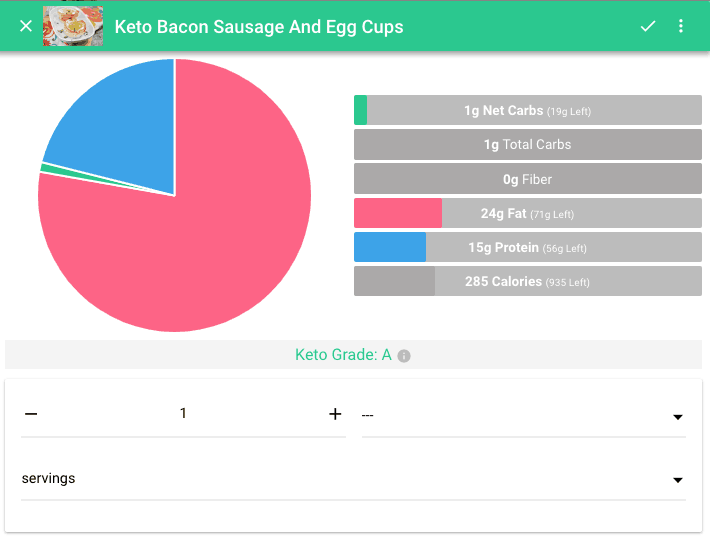 Each Keto Bacon, Sausage and Egg Cup has 1 net carb, 1 total carb, 0 fiber, 24 g fat, 15 g protein and 285 calories. 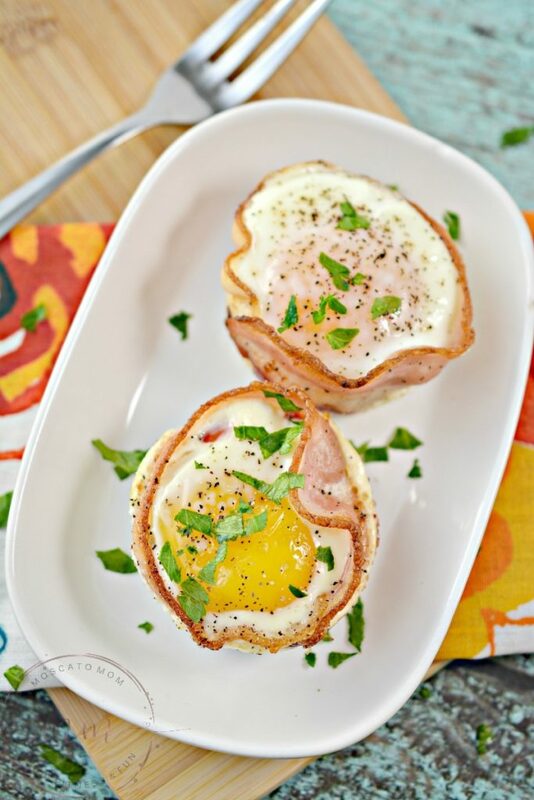 These Keto Bacon Sausage and Egg Cups are delicious and filling and will help get you started on the right track for the day!